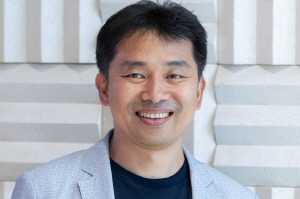 BOScoin which held South Korea’s first ICO in May 2017 announced its White Paper ver. 2.0 a year later in May, suggesting a new vision and strategy. 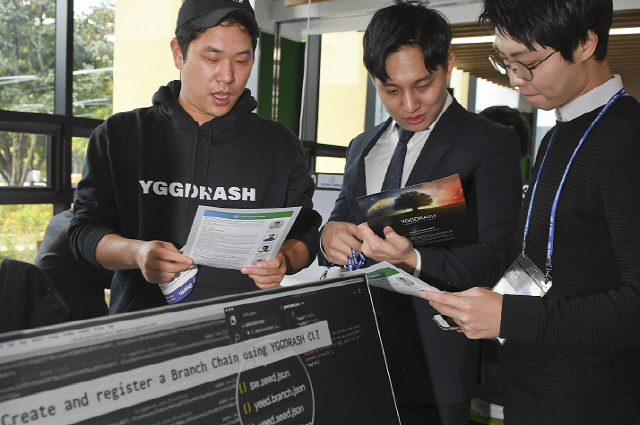 During the first local community meetup held last month, Yezune Choi shared a provocative vision of “Hacking Capitalism in the most Capitalistic Way.” He declared to make a better capitalism by adding “Credit Creation Through Participation” and “Impact Investment based on Voting” to the existing most capitalistic concept of “Project Financing (hereby PF)” creating a new PF on the blockchain. Through the words of Yezune Choi we hope to witness what the impending “New World of Blockchain” may look like. The interest and heat surrounding blockchain is high enough to say that new blockchain projects emerge at the blink of an eye. Proving that the current number of coins traded according to CoinMarketCap, a crypto currency information website, was at 1,624 as of July 11, 2018. 27 had increased since the total has been 1,597 ten days ago on July 1. Another source Investing.com showed a total of 1,913, soon to exceed 2,000. Many people choose blockchain technology just because it is the hot, new thing, because it‘s easier that gaining investment from venture capital, since everyone does it, I need to join before it’s too late, even in some cases blindly insisting to do blockchain. However blockchain can be cumbersome for projects that don‘t go well with the technology, hindering business growth. Compared to centralized systems, decentralized blockchain comes with high costs and inefficiencies, which a project must consider each aspect carefully. So which projects could be the perfect match with blockchain? In order to answer this question, one must look at the essence of blockchain and find answers at the core. Blockchain is commonly referred to be the “2nd Internet Revolution.” 30 years of innovation brought forth by the internet was “sharing information” beyond limits of time and space. As the 2nd Internet Revolution, blockchain enables us an innovation of “sharing values”. This fundamental difference means a blockchain project is meaningful only when a specific value is to be “shared” with a community. “Sharing values” sound simple, but it is a very difficult question. Once on television, I saw a program with two brothers who were always fighting. When they had to share a piece of bread, the mother asked the older brother to split the bread, and the younger brother to make the first pick. This was a brilliant case of using game theory, by creating conditions where unfair behavior is detrimental, to resolve real-life conflict. Without such brilliant solutions, sharing values can be a very difficult thing. Blockchain is a technology which forms the backbone of these solutions. Foremost, “contributions” on the blockchain can be measured. The 1st generation Internet could not measure “contributions” derived from each participant. The blockchain, 2nd generation Internet, enables these precisely with a “shared ledger.” “Micro-payments” can be rewarded for even the small bits of contributions. Fiat money cannot be calculated and paid out below KW 1, but electronically calculated coins can be indefinitely be divided to deliver even the smallest unit of value. Unlike current rulers of the Internet world-- YouTube, Google, Facebook, or Naver, contributions from content creators and influencers can be measured and rewarded; individuals who form a community can be remunerated for the contributions they make to the community. A good blockchain project must focus on what values they are sharing and gain the approval of its community. Blockchain enthusiasts often criticize internet-based sharing platforms. They point out that sharing platforms don’t share; they monopolize. Large platform corporations do centralize data management, monopolize insights from big data analyses, and reap huge profits as platform middlemen. Blockchain is the future of these giant sharing platforms. Fees will be reduced by minimizing the third-party involvements, and data will not be stored by any central party so that nobody can utilize it without permissions. This progress cannot be achieved only with the blockchain technology, but also with the enthusiasm from blockchain supporters who believe that blockchain technology will bring a revolution in our lives.